Weather: Clear Skies: Outdoor Temp 38*. Expected high temp of 60*. 2 – Pork Butts 7-8 lbs each. 7:00am… Started the fire by lighting a full chimney of coals. Disassembled the Weber Smokey Mountain Cooker (WSM) and cleaned out the ashes. Put Charcoal grate back in and added a full ring of charcoal. 7:30am Poured full chimney of lit coals on top of full charcoal ring of Kingsford Briquettes. All vents 100% open. Assembled the WSM and added 1 gallon of water to foiled water pan. Coated the Butts w/Canola Oil and then added a medium dusting of Savory Spice Native Texan BBQ Rub. 8am: WSM Temp 220*. Pork Butts On the cooker. Added about 8-9 Wood Chunks. Combo of Hickory & Pecan. 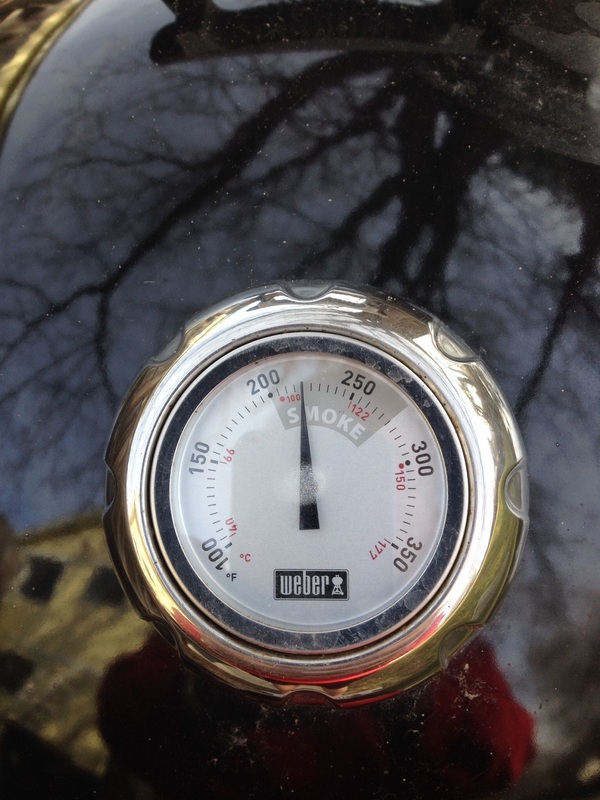 Cooker temp dropped to 200* which is to be expected as I just put about 16 lbs of Pork Butts in the WSM. 9:00am. Dome Temp 225*. Grate Temp 260*. Close all bottom vents to 50%. Top vent 100% open. 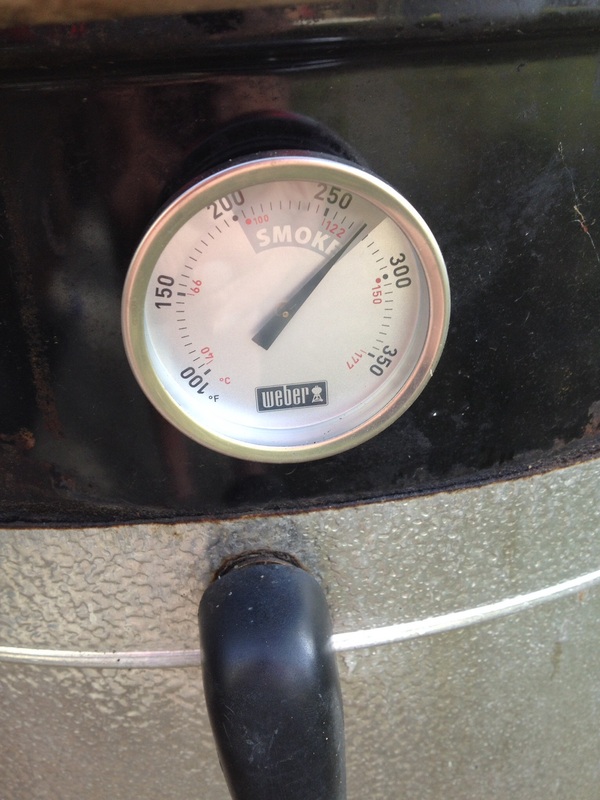 By 3pm the Butts were at 200* (And I’m at 5300′ above sea level here in Boulder, Colorado.) I pulled them off and let them rest about 2 hours in my Cambro. Made my own Cole Slaw and served the pulled pork on seeded buns with Head Country BBQ Sauce. The rub I used was “Native Texan” available at Savory Spice Shops. And no, I don’t get paid by these aforementioned companies. (Though I think I should 😉) I just really like their products. IMHO – Pulled pork tastes better the next day. (Like Lasagna.) And it freezes and re-heats very well. Reblogged this on Radio Boulder.